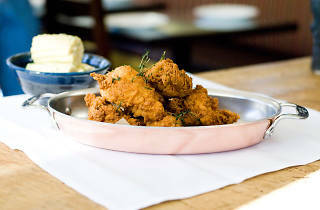 Photograph: Courtesy Bouchon Fried chicken at Bouchon. 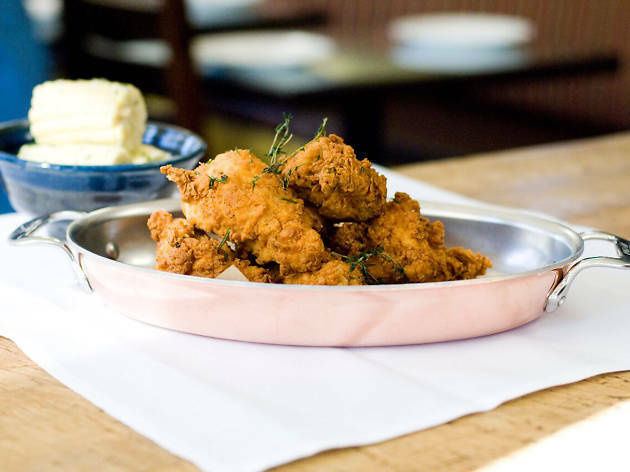 Few of us have the pleasure of experiencing a Thomas Keller meal straight from the man himself, but this Wednesday, the celebrated chef is coming to us. For one night only, chef Keller will take us on a "Tour de France" at Bouchon in Beverly Hills with a multi-course meal that celebrates French cuisine. Choose from chicken galantine, steamed artichoke with Alaskan King crab or asparagus salad to start, then move onto a selection of main courses: Bouillabaisse, sauteed duck breast or ratatouille. Finish with a selection of desserts before waddling off with content. Reservations can be made here.